Camping toilet: diverts urine for odourless use. Robust construction. Folds flat for storage. 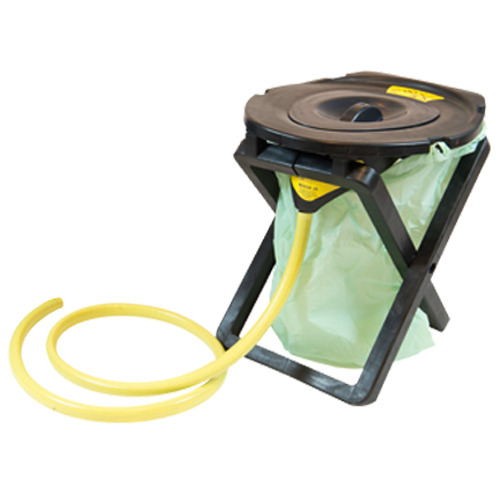 The Separett Rescue Camping Toilet is the ideal temporary toilet for use when camping, in RV's, cottages or on building sites. Going camping? Enjoy the comfort of odourless convenience! A compostable bag attaches to the frame to collect solid matter and paper. Urine is diverted away by the hose. 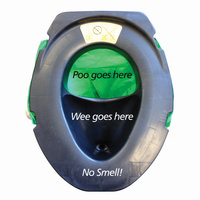 - No more wet feet; 'Wee' drains away from the toilet area via flexible hose. - more stable toilet on most surfaces. Setting up your Separett Camping toilet is easy. Watch our video. View Separett Camping Rescue assembly video. Won't be going camping again without it. We we're the envy of all our fellow campers. As described. Well Packed. Fast delivery. Thank You. Love it! Especially when you are bush camping & no facilities!! Great item - made it easy for the kids while away. Thanks. Camping Rescue - a hit! I am delighted with the Rescue that I purchased from you. We use it inside the camper van. I was particularly pleased to find that it fits snugly into a small space between the wardrobe and the cooker in what is probably one of the smallest camper vans on the market, a Toyota HiAce pop top - whilst still allowing easy access to and from the side door. 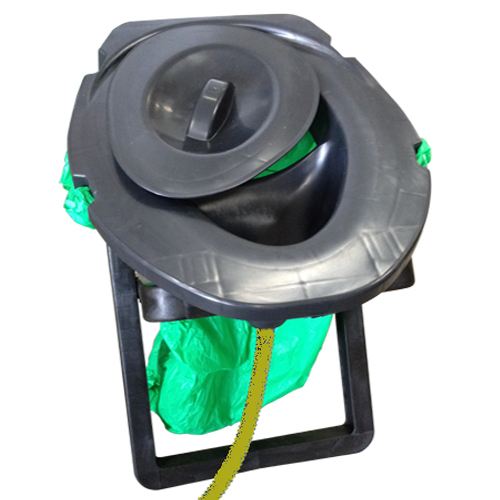 We have been away on three weekend trips and it has been very successful, no leaks, no spillage, no accidents. Thanks again - its been a hit with everyone I have shown it to.